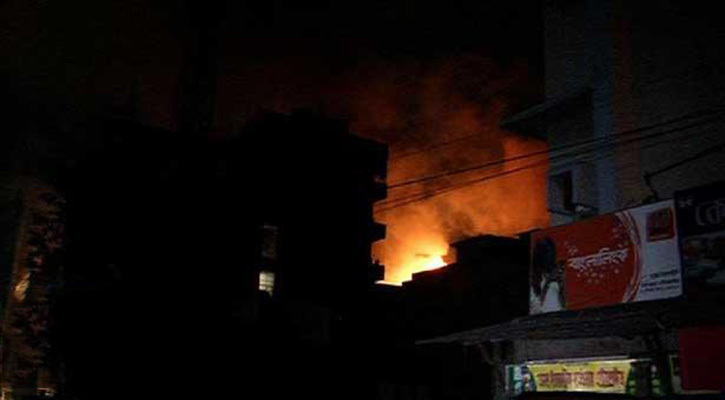 Dhaka, 13 October, Abnews: A man was burned to death and seven people, including four women and a minor boy, sustained injuries as a fire broke out in a flat on at Beparipara in Uttarkhan area of Dhaka early Saturday, UNB reports. The deceased was identified as Azizul, 30 while the injured were Dablur, 33, Anjum, 33, Abdullah, 5, Urmi, 16, Purnima, 30, Sufia, 60, Sagor, 12, hailing from Bhangura in Pabna district. The victims were living on the ground-floor flat of a two-storey building, said sub-inspector Bachchu Miah of Dhaka Medical College Hospital (DMCH) police outpost adding that most of the victims are garment workers and one of them was rickshaw puller. The fire broke out at their flat on the ground floor around 4am as there was a leakage in their gas pipeline , said Shafiqul Islam, a senior station officer of Fire Service and Civil Defence in Uttara. On information, three units of the fire service rushed in and doused the fire. Later, the firefighting team rescued the injured, including the four women and the minor boy, from the flat and took them to the DMCH, said the official adding that the conditions of six were critical, the Fire Service officer said. Among the injured, Azizul died around 10:30 am.